$60 for Your Website with Your Domain For One Year! WordPress For Dummies, 4th Ed. 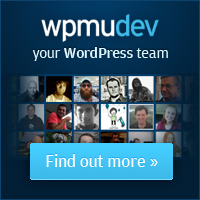 Our WordPress Tutorials are updated weekly, and sometimes even daily. We need your feedback and encouragement to create some better stuff for everyone. If you ever want to Google for our tutorials, you can Google for "WP89 WordPress". You may think of WP89 as your online classroom to learn Web Publishing with WordPress and a download resource to extend your WordPress websites and make them more professional. Kaibo2.com is one of the best SEO Web Design service centers with a focus on WordPress and PHP. Start a business? San Jose Business Attorneys may help you.